Tapzo’s winding, multi-avatar journey appears to have finally reached a conclusion. Tapzo has been acquired by Amazon Pay for $40 million, reports ET. The negotiations for the deal were supposedly on for a few months, and the two parties were finally able to agree on the terms. The Tapzo founders Ankur Singla and Vishal Pal Chaudhary will reportedly receive between $10-15 million (Rs. 70 crore- 105 crore) in cash and Amazon stock, and will stay on with Tapzo. 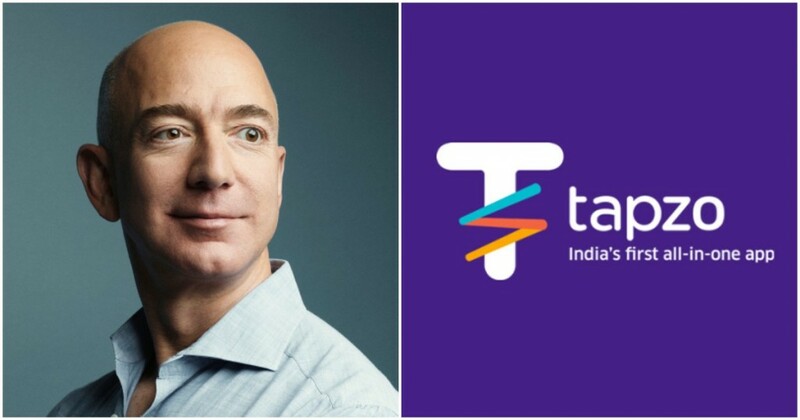 The acquisition will be seen as a stellar result for Tapzo, which through its relatively short life seemed to have more incarnations than a minor Hindu deity. It had been founded in 2010 as Akosha, a platform which enabled users to voice their customer complaints against big corporations. In 2015, the company had pivoted to become Helpchat, a chat-based digital assistant that helped users from everything from recharging their phones to cleaning their laundry and picking up their groceries. During this period, Helpchat had hired an army of call-center workers, but the business model didn’t quite work out — Helpchat had to fire many of these workers, leading to much drama when a disgruntled employee wrote an open letter against CEO Ankur Singla. In 2017, Helpchat pivoted again — this time it rebranded as Tapzo. Instead of picking a single business model, it simply chose them all — inspired by WeChat, it became a super-app, a single app which handled everything from cab bookings to food delivery. Tapzo gave away generous discounts, as it became a platform where users could reach other service operators like Ola, Uber, Zomato and the like. Some in the startup community criticized the app for repeatedly changing its model, and simply hopping on the hottest idea de jour. But it appears that Tapzo will end up having the last laugh. Tapzo had raised $23 million from investors including Sequoia Capital and RuNet, and a $40 million acquisition would seem to be a fairly good outcome for the company. Amazon will likely use Tapzo as a springboard to further launch its Amazon Pay services — Tapzo already allows users to pay through Amazon Pay, but it’s likely Amazon will push its Pay product through its platform. Tapzo had also entered some fintech verticals, including providing loans, and those could be an interesting area for Amazon Pay to venture into. But Tapzo’s eventual acquisition shows how India’s startup market might be picking up once again, after some despondency had set in in 2016 and 2017. That period had seen several startups shut shop and lay off employees after their business models had failed to become self sustaining. Tapzo, for its part, never made profit, but Amazon clearly saw value in acquiring the firm and its customers. With foreign firms in a hurry to quickly set up their presences in India, there has probably never been a better time for Indian startups to sell off their assets to the highest bidder. It began with Flipkart’s acquisition by Walmart in May, and we might end up seeing a lot more by the time the year’s done.